Clean Energy Compression’s Fullfill and Maxoffload technology provides efficient and quick loading at source and near-complete offload at destination. It is designed specifically for CNG-based natural gas delivery for ranges up to 500km beyond the pipeline. This technology makes CNG virtual pipelines an affordable remote energy solution by decreasing the cost per energy unit delivered. You’re Not Stuck with Oil. Customers worldwide are choosing affordable, abundant and clean natural gas. Proven Scalability. Modular and Mobile Options Make Your Asset More Flexible. Clean Gas Technology. Low Oil Contamination Keeps Your Virtual Pipeline Running Efficiently. Engineered for Total Efficiency. Systems Engineered to Harmonize Performance of All Components, Delivering Efficiency & Savings. 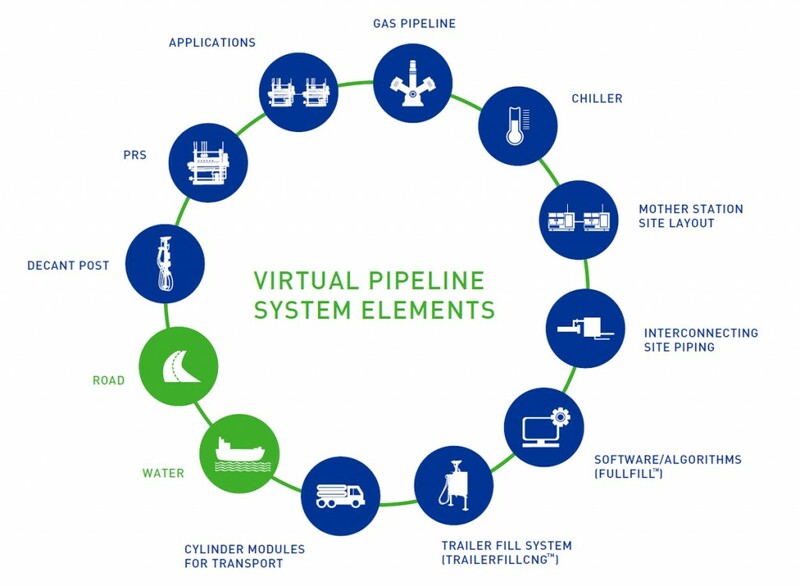 Virtual pipeline customers report saving up to 30% of energy costs compared to fuel oil. Reliable, abundant and domestically available, natural gas is the most affordable fuel source for most markets today and is poised to be the most popular fuel source in the next 10 years. Using natural gas can reduce CO2 emissions by up to 40% over diesel, bunker fuel or coal, and nearly eliminates harmful particulate, sulphur, and nitrate emissions. End-to-end Engineered System Efficiency. Ten sub-systems harmonized to deliver optimal return on investment. Fullfill & Maxoffload Technology. Up to 10% more fuel going on and 10% more fuel coming off at every delivery means a better bottom line for your operation. Proven Scalability. Modular and Mobile options make your asset more flexible to adapt to changing demands. Clean Gas Technology. Non-lubricated compression delivers the cleanest fuel available and keeps your virtual pipeline running efficiently. Clean Energy Compression’s Fullfill technology ensures every bulk gas shipment is delivered and filled as quickly and completely as possible. Our systems ensure that transport modules are filled at the optimum temperature and gas density through integration of proprietary compression technology, PLC-controlled continuous thermal management, and comprehensive dispensing architecture. In conjunction with CleanCNG™ compressors, Clean Energy Compression’s Pressure Reduction Systems (PRS) maximize offload capacity, ensures that only a minimal amount of gas is left on the trailer before it is disconnected. This is achieved by using two-line unloading methodologies where possible, designing systems for minimal pressure drop, and employing scavenging compression as needed to remove remaining gas. Along with Clean Energy Compression’s CleanCNG™ compressors, CleanPRS have proven scalability allowing us to provide a highly standardized product to custom applications. 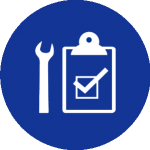 Standard products ensure excellent reliability and quality. Modular “building block” design makes it easy to add more units if demand increases or remove equipment and move it to several smaller sites once gas pipeline arrives. There are current systems installed with a capacity of up to 14,000 Nm3/hr. Clean Energy Compression’s technology uses advanced pressure and temperature management to optimize the efficiency of filling and offloading, enhancing the overall system performance and improving virtual pipeline project feasibility. Gas temperature and pressure is managed carefully to ensure a complete fill. Temperature and downstream system pressure must be managed with equivalent precision at offloading to ensure consistent downward pressure through entire decanting cycle. Low oil carry-over. Non-lubricated cylinders, pistons, and valves means fewer oil changes and less damage to vehicles or virtual pipeline infrastructure. Reduced oil contamination in CNG supply (< 5ppm), safeguarding storage tank cylinder, manifold and downstream machinery (including turbine) integrity while reducing maintenance requirements. 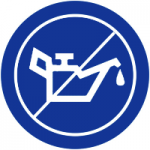 Lower CNG station maintenance costs, as daily or frequent oil filling is not required. Reduced waste oil disposal cost. Heat exchanger surfaces remain clean resulting in better thermal performance, and do not require cleaning. Reduced equipment such as lubricators, oil reservoirs etc. Low vibration and noise due to balanced reciprocating compressor design. A global leader in manufacturing CNG and LNG fueling systems, Clean Energy Compression meets or exceeds standards for ISO 9001:2008 Quality Management System as well as extensive safety and environmental protocols. Our partners applaud our dedication to safety. The exterior Motor Control Center (MCC) area rated as non-hazardous. ESD at each end of the enclosure, on the MCC, and one inside the enclosure. This cuts off gas supply, isolates storage, and drains compressors. Overpressure protection with appropriately certified pressure relief valves. Optional remote monitoring equipment for phone, pager, or email warning; alert will be sent in the event of an emergency. Non-lubricated compressors cut out the waste, cost, and negative environmental issues of additional filters, auto oil drain systems and supplementary oil tanks. Only 5 parts-per-million or less vs. 100 PPM or more. Our clean technology prevents costly, troublesome oil accumulation in heat exchangers, storage vessels, and vehicle systems. This ensures lower operating costs, more effective fleet and vehicle performance, happier customers, and increased station profitability.